Delta-ee may have been early to the conversation. We started talking 10-15 years ago about decentralised energy, customers not meter points; who has needs, wants and preferences, services beyond commodity. These dynamics have now firmly moved from being on the periphery of the debate to front and centre. Most companies now recognise the direction in which the market is heading, and it seems like we are approaching the cusp of change. Developing the right strategy and tactics is however challenging – exciting, but challenging. Flexibility – the penny has dropped. We see companies not only realising, but now acting because value is shifting towards the timing of consumption and generation, rather than the quantity. Utility companies are for example changing the way they are organised internally, while others are making investments or acquisitions to gain necessary new capabilities e.g. Engie & Kiwi Power, Centrica & REstore. Those who are more daring (often newcomers) are developing trusted brand status with consumers, as they know that being allowed to optimise the timing of energy on the customer side of the meter will be one of the most valuable businesses within the future electricity industry. Data – seeking out added value and monetisation strategies. Happily, we have seen a shift away from having to focus on the rollout of “meters on walls”, to companies exploring how they can utilise data gathered to create energy & energy-related insights. We also see companies pulling in data from an increasingly wide variety of assets (boilers, thermostats, cameras) and sources (weather, travel patterns, building structure). There is much more learning to be done, but opportunities are becoming clearer: from creating or enhancing operational efficiencies internally, such as customer profiling and fraud detection, to developing exciting new products or services e.g. Norway’s Tibber and their fully digital App based energy supplier model, or Octopus Energy and OVO Energy in the UK with their new EV-related propositions. Hydrogen – fully injected into the decarbonisation debate. Through 2018 it has become clear that the production and use of hydrogen are acknowledged as a credible decarbonisation option for Europe. Desk studies have been carried out – some Member States see a best-fit with transport (e.g. France, Germany), others are focussing on the potential in heating (UK, Netherlands). Either way, recent political announcements – particularly in France and the UK, which have led to government investments of up to €100m / £100m – typify the step change seen throughout this past year that H2 is firmly on the table. Next step: the development of pure hydrogen-powered appliance for residential properties. HYPER sector coupling – both across energy vectors and between different industries. The intersection between heat, electricity and transport, although not a new trend to be discussed, will see in the coming 12 months the emergence of customer propositions that actually offer a new, more genuine & fuller level of integration. And it doesn’t stop there – we will see emerging interest from players in the insurance sector working with smart home technologies providers, car companies selling electricity, Amazon expanding their home services offerings. It’s a good job the panel of homeowners we survey throughout the year find the idea of a single bill that covers multiple services appealing! Energy companies won’t just be fighting with other energy companies. 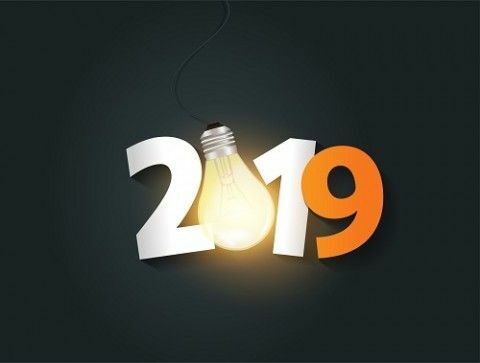 Perhaps the title for this prediction should be phrased as 2019 being the year where we see an intense battle for the ‘New Energy’ customer relationship as competition comes from many angles. Sophisticated data analytics. The application of techniques such as machine learning, AI and robotic automation has so far been very limited within the energy sector. This is going to change, and fast. We are seeing the beginnings of data science being applied to new proposition developed e.g. the predictive maintenance of heating equipment; energy insight Apps that make intelligence efficiency recommendations; integrated home energy management across multiple appliances. Equally important is the application within existing business operations e.g. implementing behavioural science nudges to acquire, engage with, upsell to, and retain consumers. EVs, EVs, EVs… The coming wave of electric vehicles represents a whole new class of distributed assets that the new energy system must ultimately embrace. While of course, they bring big challenges, particularly for network operators (our consultancy team is enjoying analysing, for example, the combined impact of various scenarios of EV and heat pump uptake & usage patterns on peak gas and electricity demand), they also create a brand new category of services that customers will require. One specific type of company that we predict will be particularly active here is the oil majors – 2018 saw multiple examples of big names investing in charging infrastructure; in 2019 the question is how close to the end user will we see these companies move? Will they recreate new generation-to-retail delivery models akin to their legacy drilling-to-pump businesses? It is currently wide open as to who will provide EV related services – we will see a supercharge of activity this year. Companies recognising and responding to these dynamics will do well. It’s important to look back at key maturity points already recently reached, as well as forward to what will next shape the sector, when, how and by whom. What highlights stand out to you from 2018, and what are your predictions for the coming year? I’d be very interested to compare views – do feel free to get in touch: [email protected] or call + 44 (0)131 625 3336. Jenny leads Delta-ee’s work on ‘new energy’ business models & customer propositions – helping clients navigate the sea of seemingly endless innovations and understanding what works & what doesn’t; what customers are engaging with & why. Previously she was an analyst on Delta-ee’s Roadmap Research Service and Pathways Tool – understanding and forecasting the future of residential heating markets across Europe. Prior to joining Delta-ee, she worked for Ian Marchant (ex-CEO of SSE) and before that as a researcher and business improvement associate in the recycling and waste management sector. Jenny holds an MSc (Distinction) in Carbon Management and a BSc (Hons) in Geography, both from the University of Edinburgh. Thursday, 01 March 2018 Are the most exciting new energy business model trends too good to be true? Tuesday, 23 May 2017 Auto-switching – is the energy industry underestimating its potential to mix things up? Hydrogen – best for your heat, or for your fleet?